From George III to Elizabeth II, Buckingham Palace has been the foremost residence of the world's best-known monarchs, and yet outsiders know relatively little about this unconventional home. In this social history of the palace, Edna Healey mines the royal archives to take the reader into its moonlit gardens, up the grand staircase, and inside its tapestried walls. Here we meet royal residents like Victoria, Albert, and Edward VII, and such sterling visitors as Samuel Johnson, Felix Mendelssohn, and Fanny Burney. 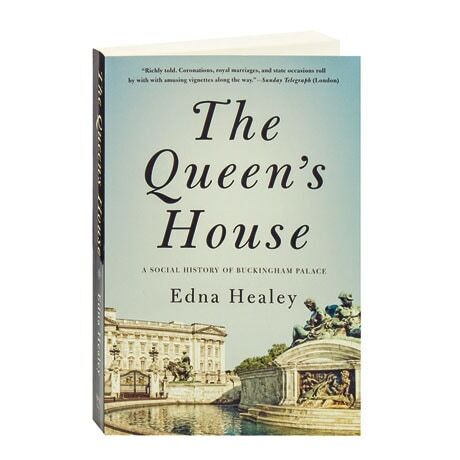 Written with the assistance of the royal family, this lively illustrated history reveals not only the renovations of the palace but also the evolution of the a nation's culture, morals, fashions, and tastes.